AUSTIN, Texas — Texas isn’t immune to the bitter cold that has invaded most of the country, but despite the temperatures in the 30s and rain on Saturday at Circuit of The Americas, the Hoosier Racing Tire SCCA Super Tour continued on. A nearly identical situation occurred in group two, where David Fiorelli made an identical choice to Williams in Super Touring® Under. Fiorelli jumped to a big lead in his No. 190 Subaru BRZ, and then held on as the track continued to dry and the field came back to him. Darryl Wills had a fantastic return to auto racing after a three-year sabbatical. 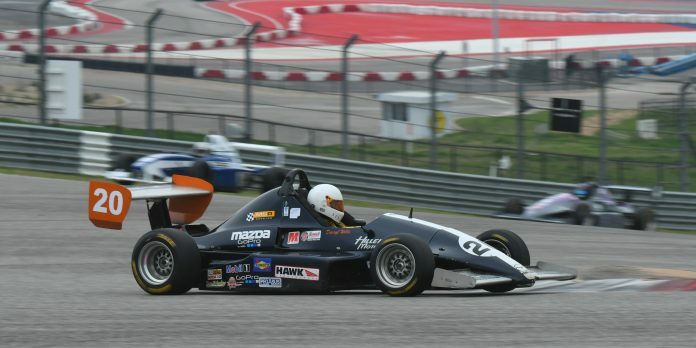 The former Formula Mazda National Champion had taken a break, but came back at COTA with a win in Formula Mazda and a runner-up in Spec Racer Ford Gen3.